Another winner for Julia London! This is one author that has never failed to sweep me away with her men in kilts and the women who catch their attention with their strength and uniqueness. And did I mention kilts? I thought that Lottie was fascinating. She would be a woman that I would love to be friends with. She is caring, willing to do what is needed to protect and nurture her family and clan including becoming a pirate and the one that everyone turns to for answers. And some of those questions lead to intriguing circumstances. I really felt for Auley. He had decided on a path and was completely derailed by Lottie and the Livingstones. He really had to look deep within himself to find answers to some of those intriguing circumstances. 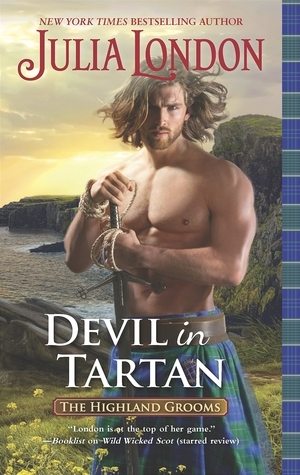 I really enjoyed DEVIL IN TARTAN. Ms. London brings the characters and the era to life through her words. It is a wonderful way to step back into Scotland and meet some hot, and some not so hot, men in kilts. The perfect way to wile away a rainy spring afternoon. 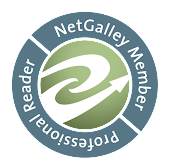 ***I received this book for free from Net Galley in exchange for a fair and honest review. All opinions are my own and not influenced by the publisher or author.